By Xah Lee. Date: 2012-03-04 . Last updated: 2016-12-22 . User Interface design: navigation panel, with scrollbar or no? First picture: static panel, scroll with page. Second picture: with its own scrollbar. 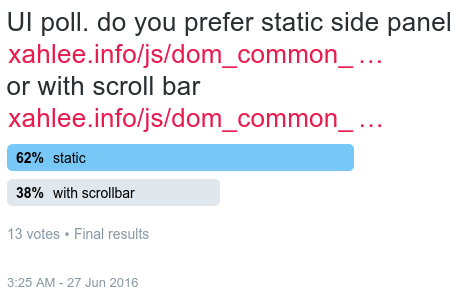 User Interface design: navigation panel, scrollbar vs no scrollbar, poll result. 1 visibility prob. only the top few links visible. effect = other links won't be visited often. 2 hard to find which link in panel is the current article. 3 hard to use. needs to scroll the panel everytime going to a page that's not the visible ones. It's a nasty design problem. 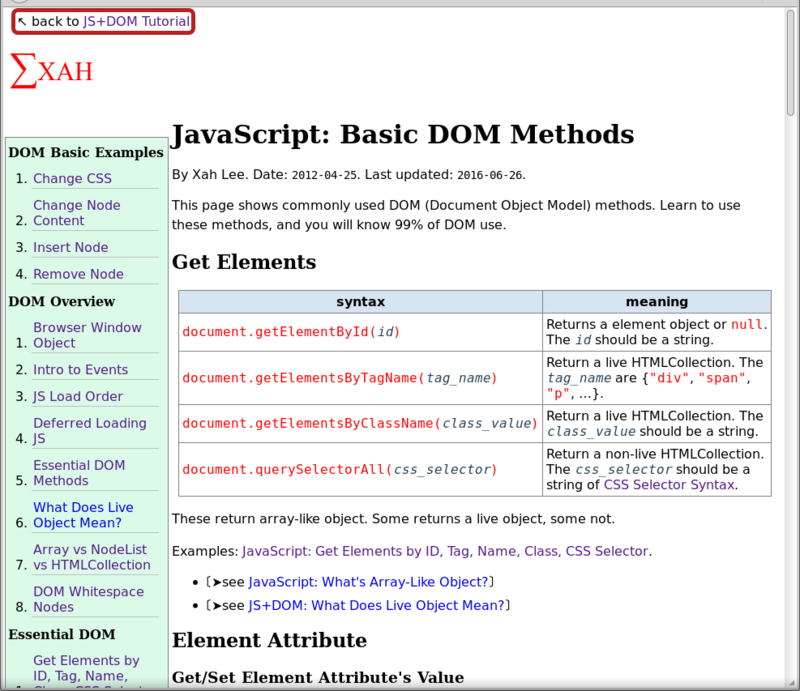 • The problem with scroll bar in panel is that, if you your list is long, only the top visible links will be visited. • The problem with full-view nav panel (no scroll bar) is that, if your page is long, then, the whole panel won't be visible. in both case, with or without scrollbar, several scroll and eyeballing is needed to use the nav panel. 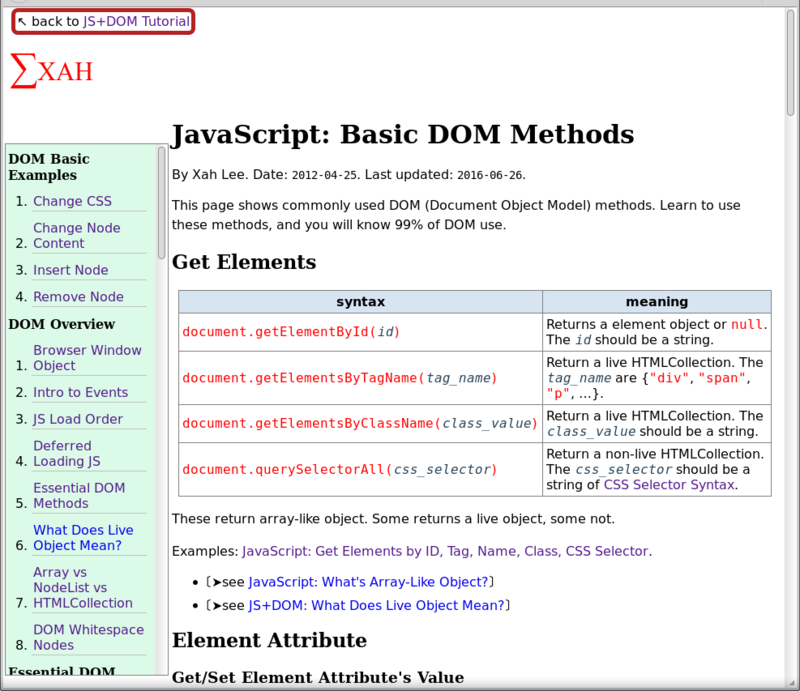 The heart of the problem is, some links just are not visible thus require scroll. ok, so with that understanding, the goal is to minimize scroll/eyeball. whenever you have a problem, you can look at how others solve it.